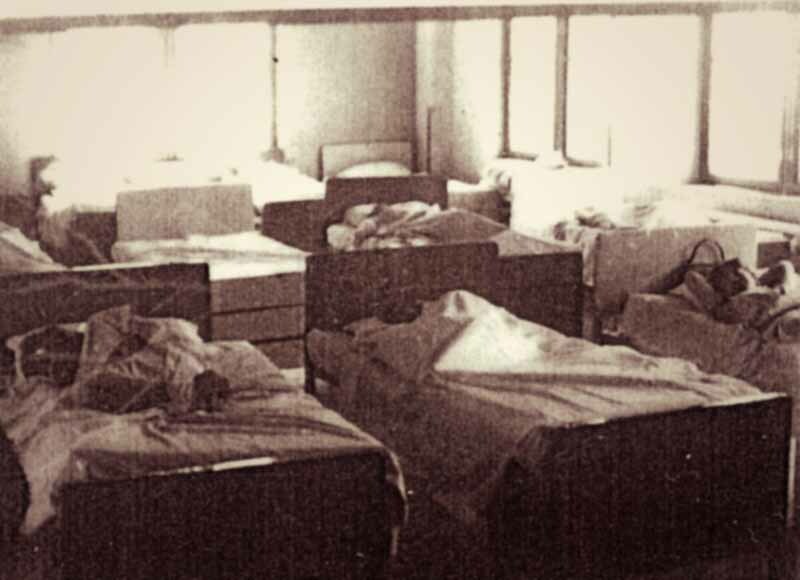 To best introduce Pennhurst State School and Hospital, we offer a single quotation from the 1968 documentary "Suffer the Little Children", an exposé by Bill Baldini, about the deplorable conditions under which the asylum operated. 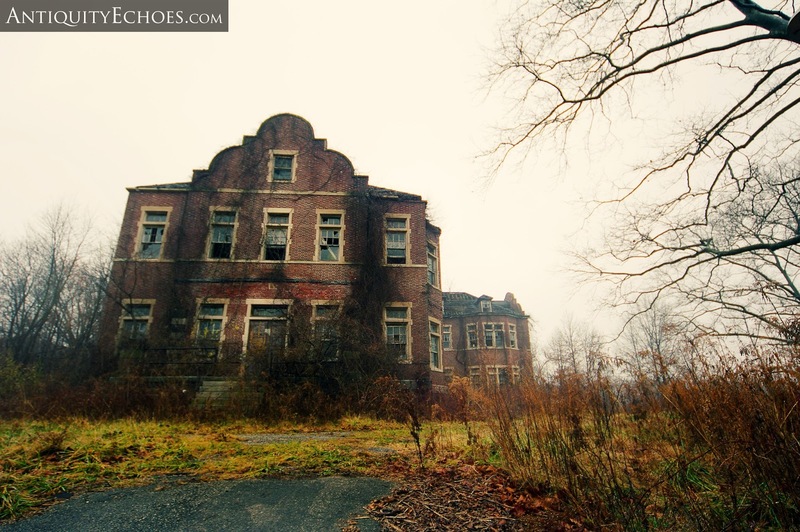 When one patient was asked by the interviewer what he would like most in the world, if he could have anything he could imagine, the sad and withdrawn reply was simply, "To get out of Pennhurst." 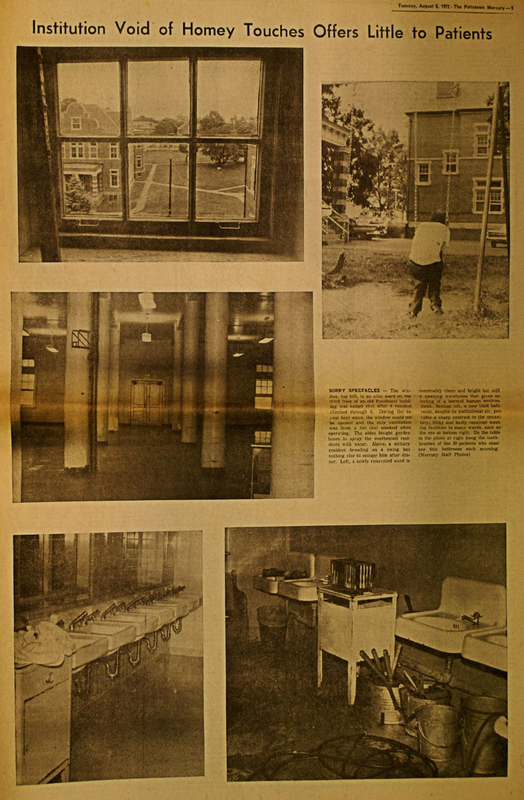 This state-funded school and hospital center was at the heart of the human rights movement that revolutionized this country's approach to healthcare for the mentally and physically handicapped and, by extension, our views on the value of human life. 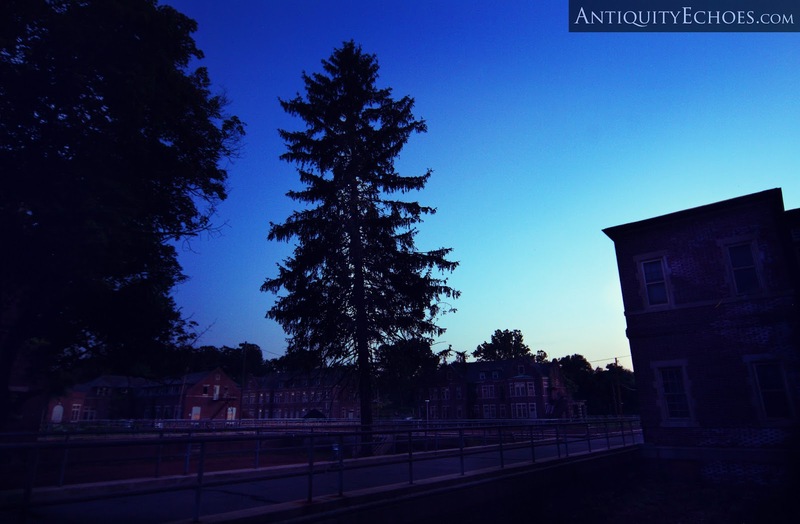 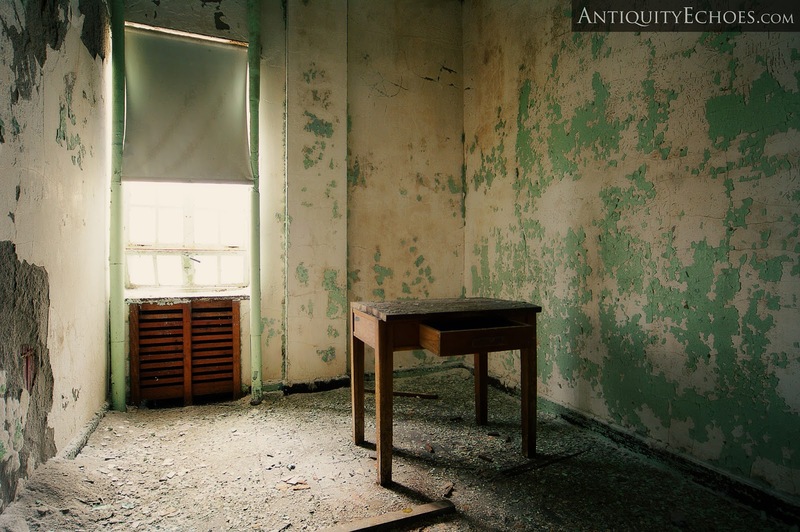 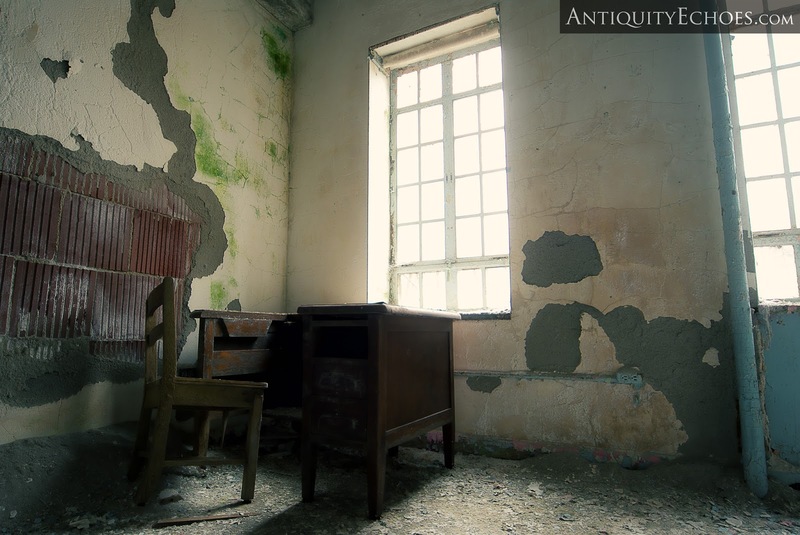 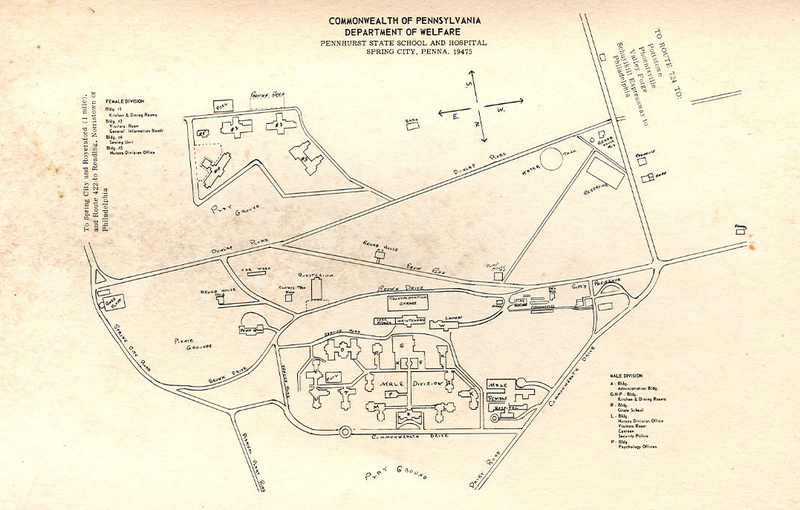 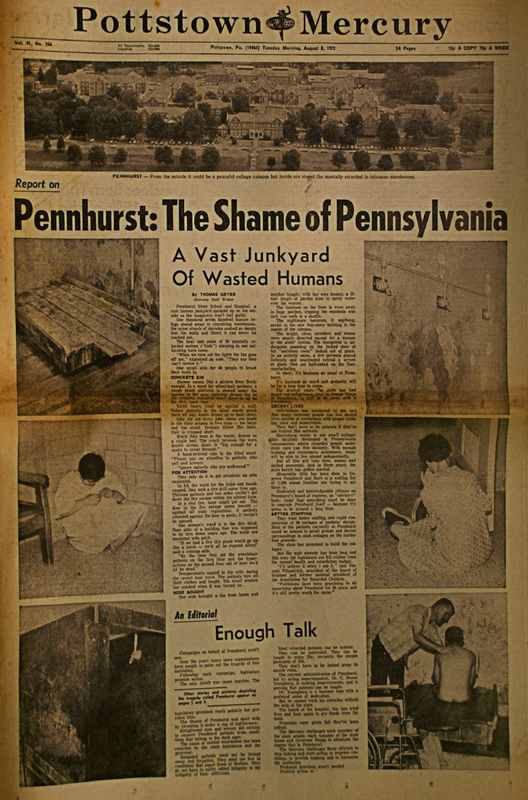 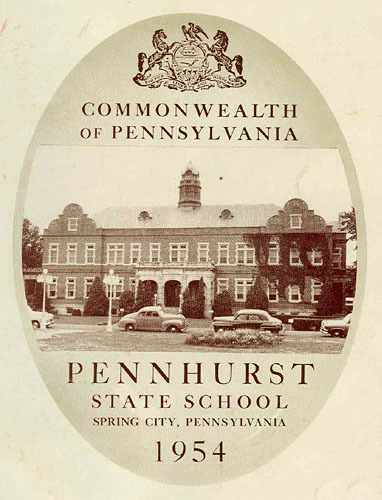 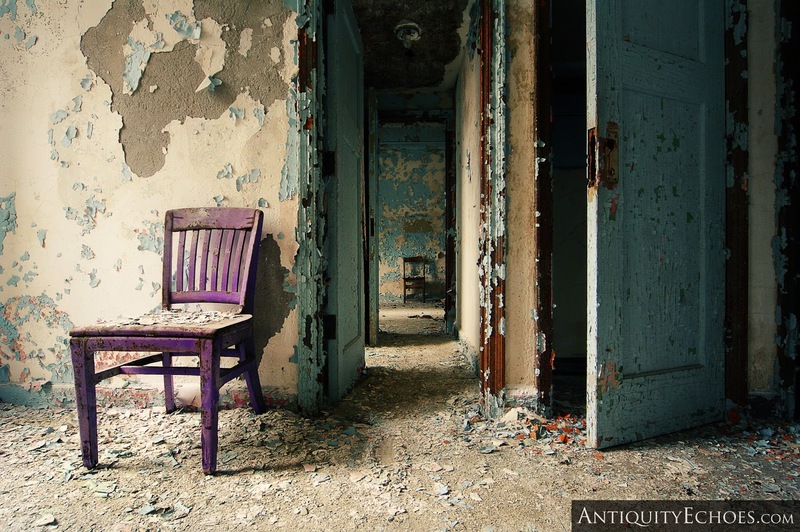 Pennhurst was one of the most striking examples of the maltreatment that was characteristic of such institutions - at one point, papers labeled it "The Shame of Pennsylvania". 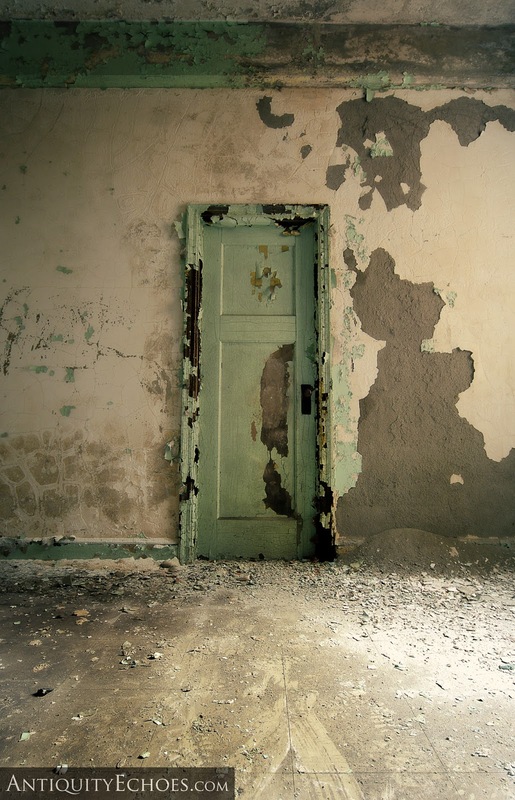 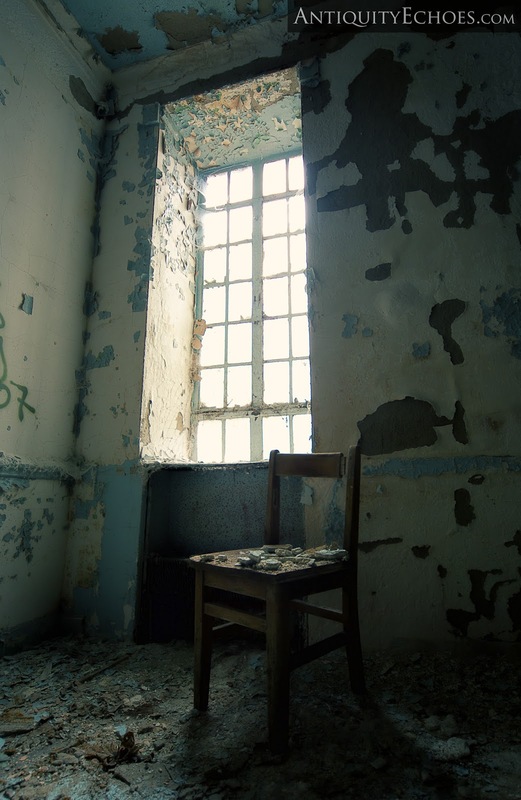 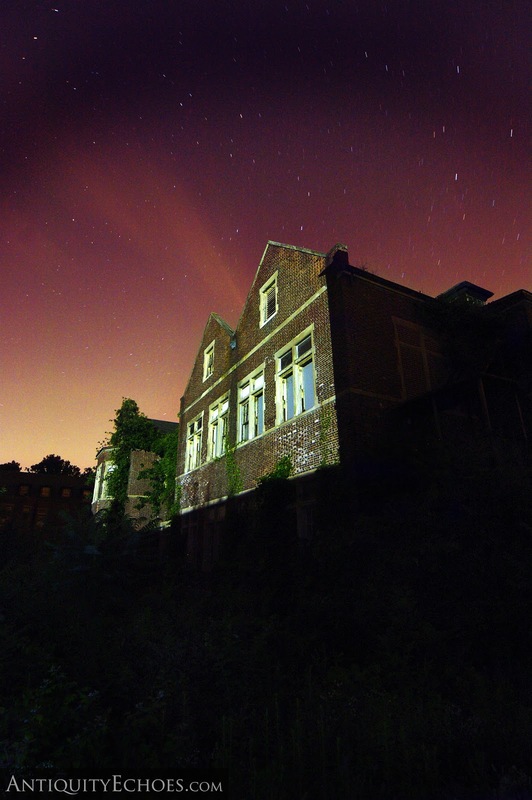 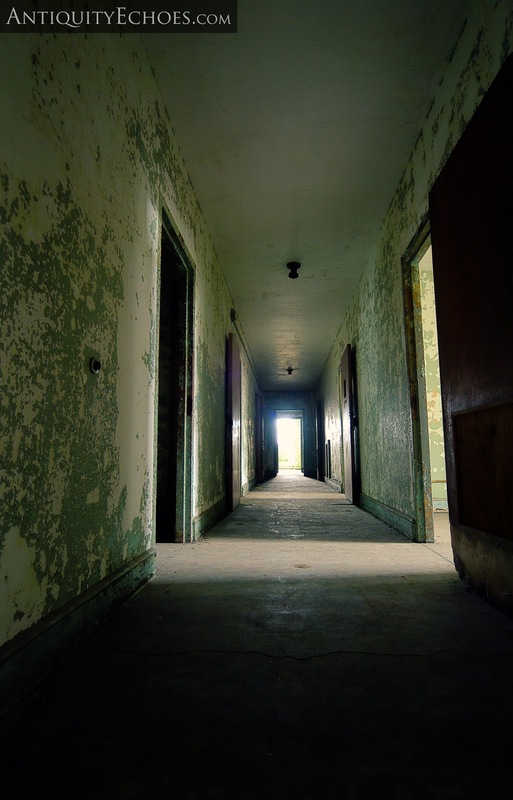 Reading accounts of the abuse and neglect endured by patients at these hospitals can often be sickening; In the case of Pennhurst, the lives of the residents were recorded on video by documentary filmmakers as well. 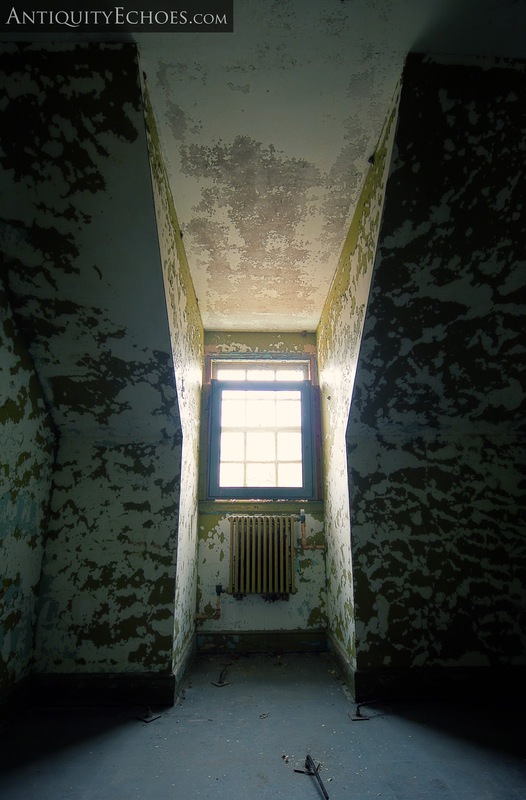 To see and hear the hopelessness of these people can be very trying; Many of them were abandoned by all who knew them, as forlorn as the facility itself would come to be decades later. 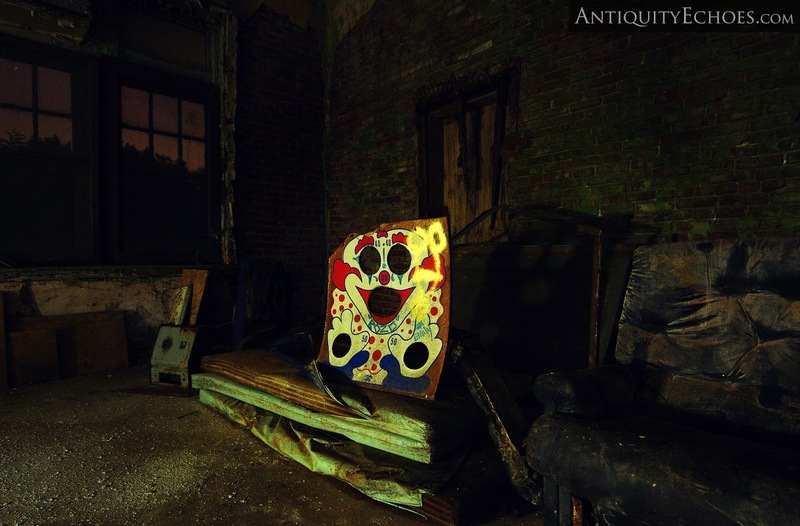 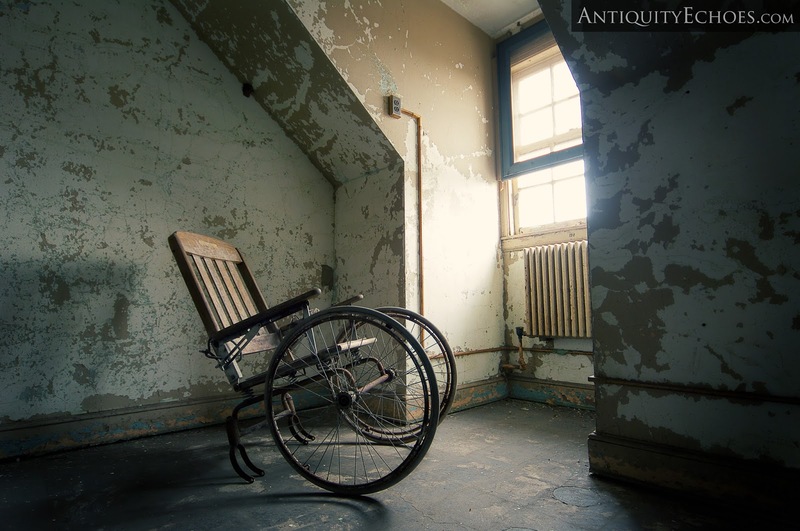 Pennhurst first opened its doors in November of 1908, and due to pressure to accept not only the mentally and physically handicapped, but also immigrants, criminals and orphans who could not be housed elsewhere, it was overcrowded within only a few years. 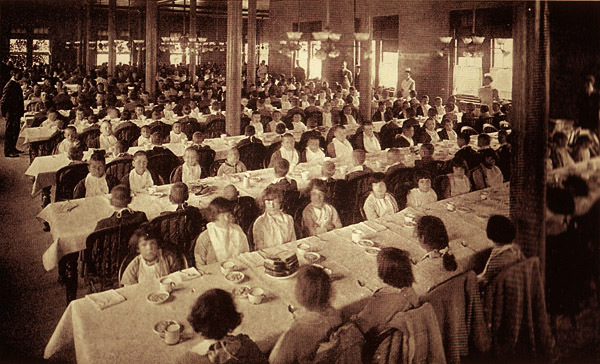 In 1913, the Commission for the Care of the Feeble-Minded was appointed, and baldly stated that those with disabilities were "unfit for citizenship" and furthermore, "posed a menace to the peace." 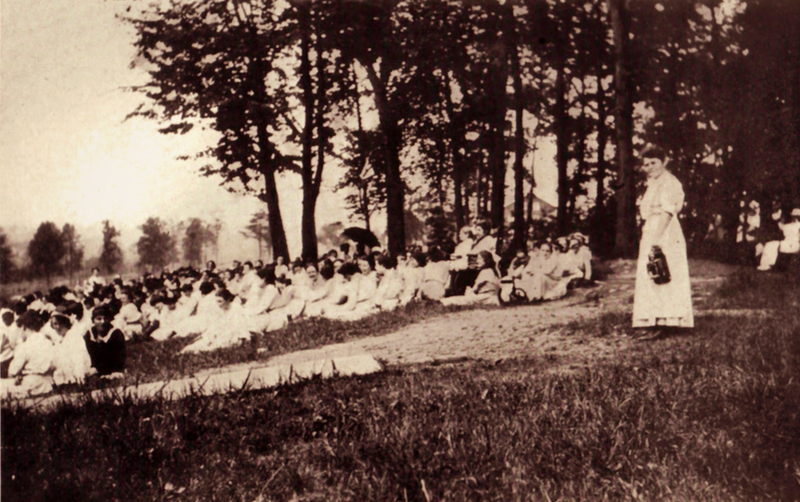 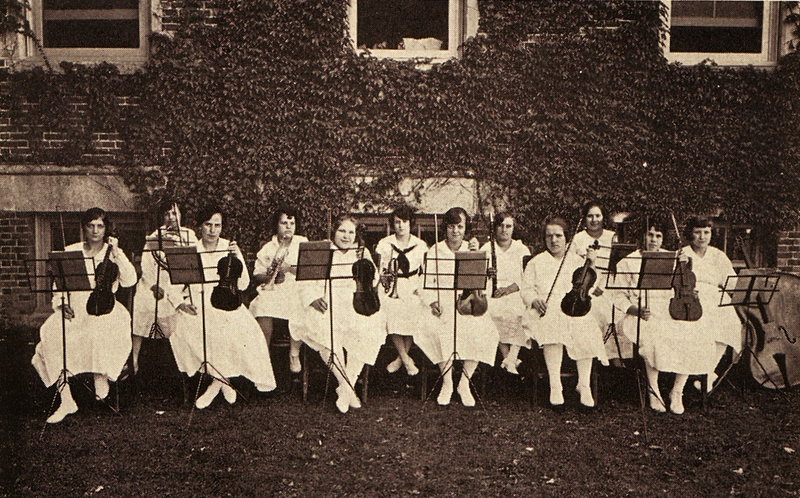 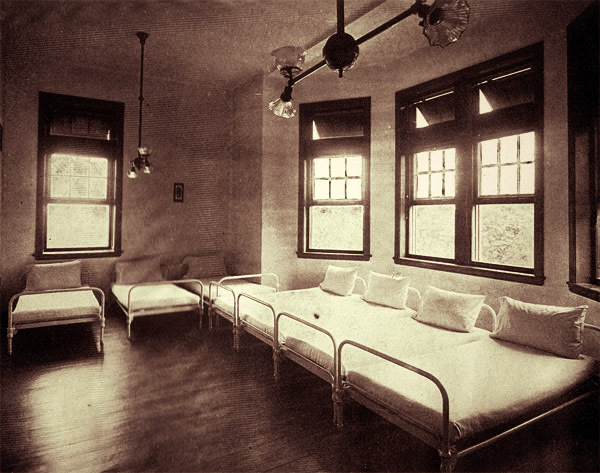 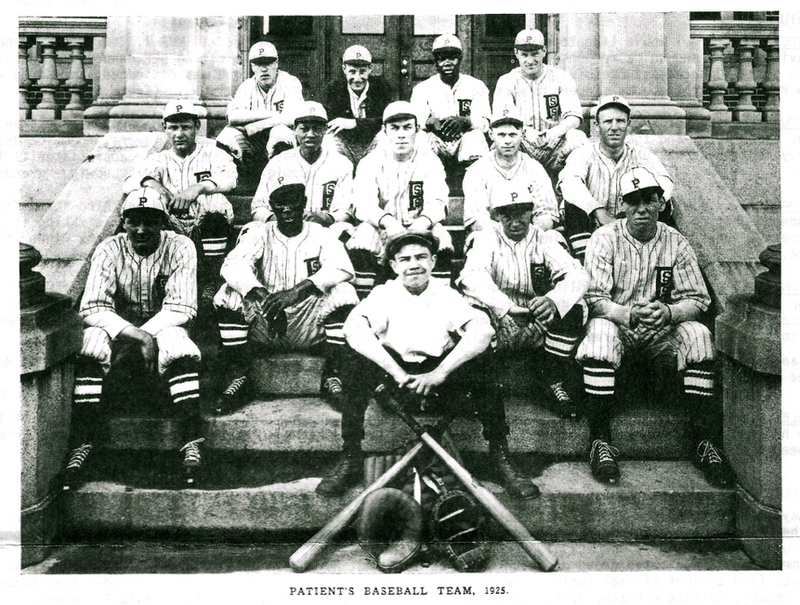 Patients at Pennhurst were grouped into several general categories. 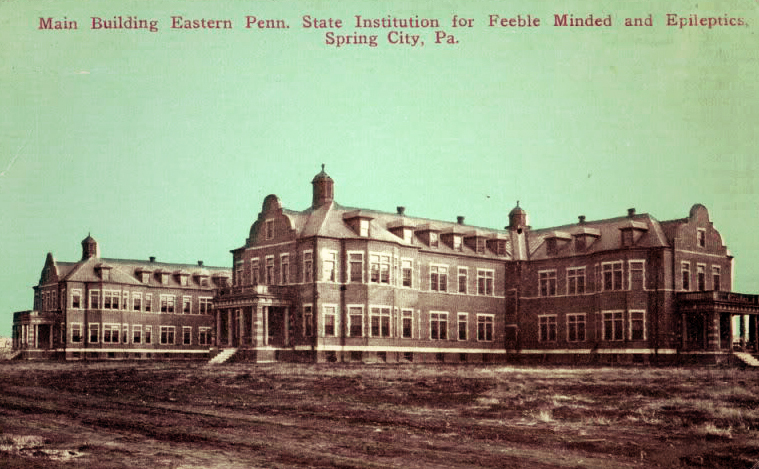 Under the classification of mental prowess, one was listed as either an "imbecile" or "insane". 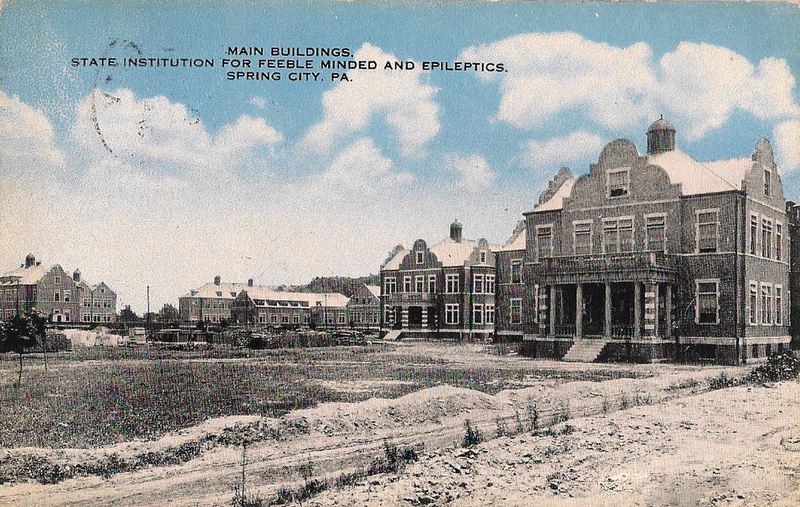 Physically, the patient could be declared either "epileptic" or "healthy". 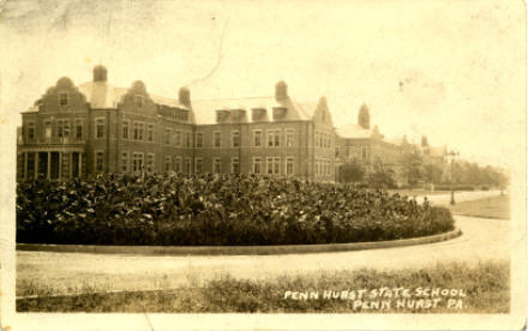 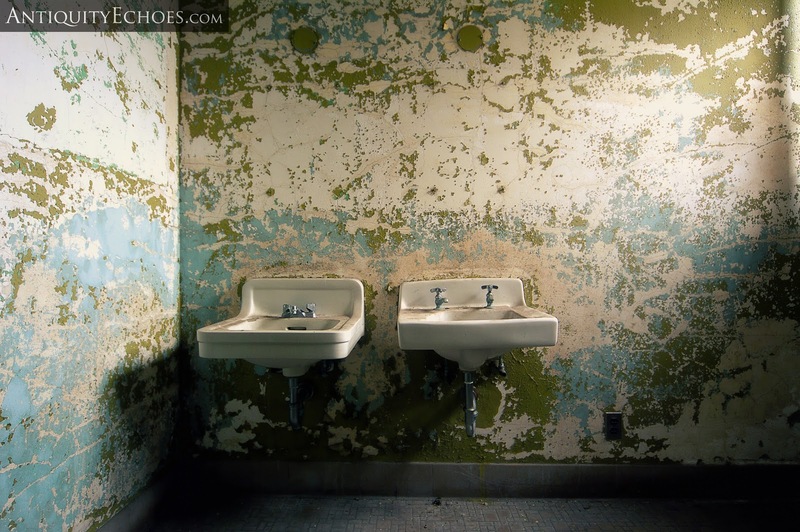 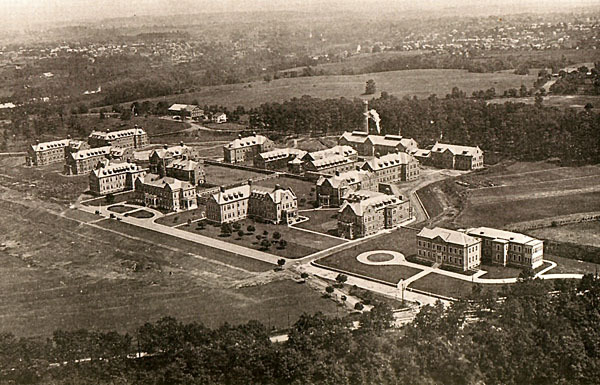 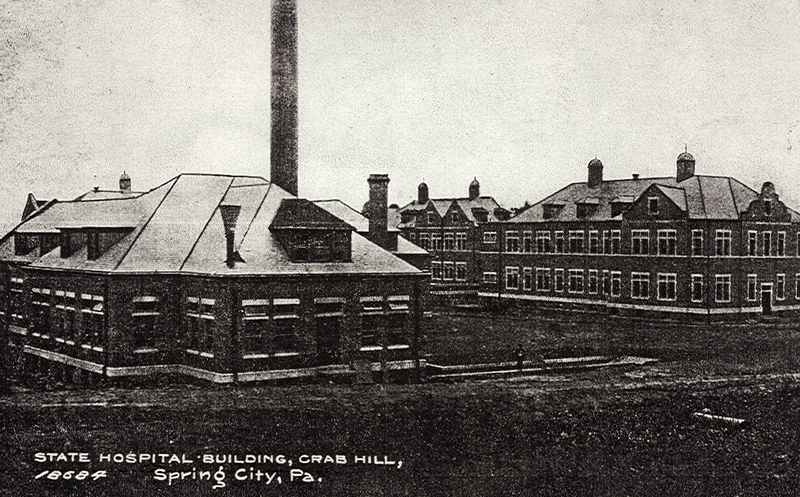 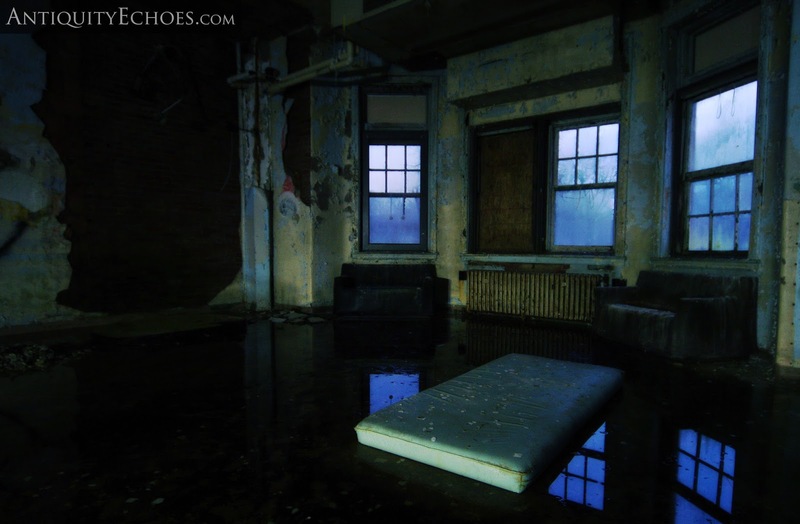 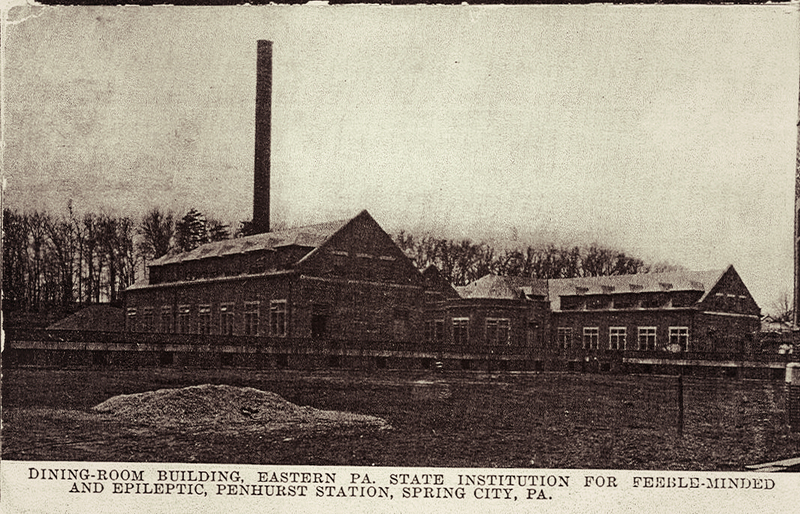 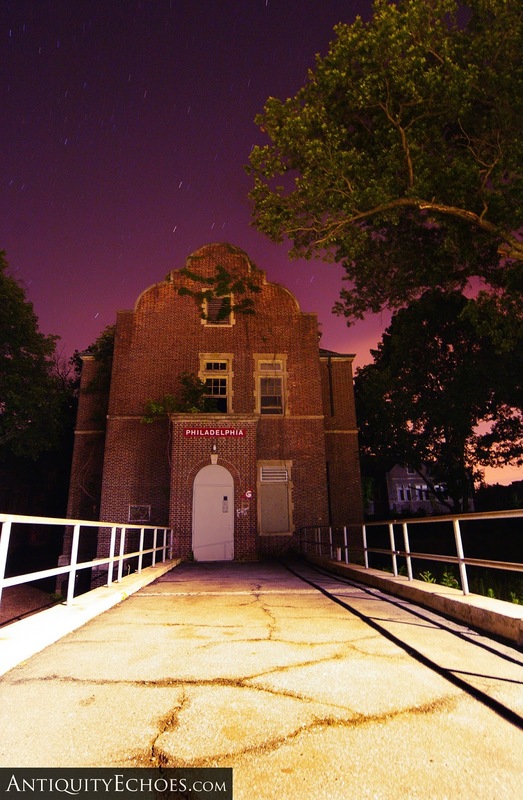 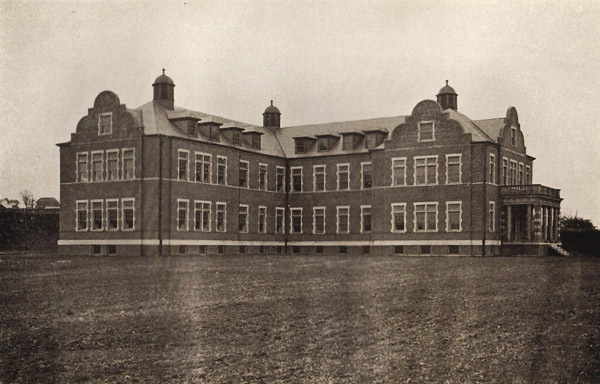 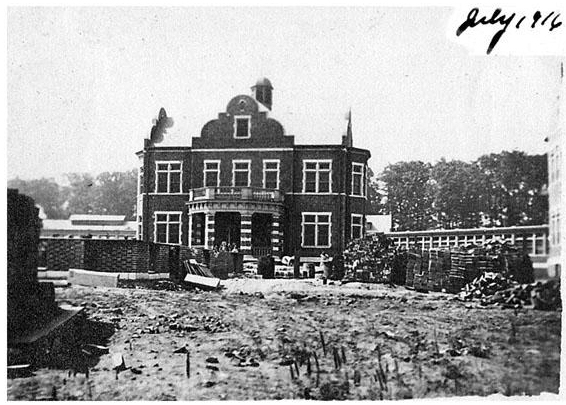 Like many similar facilities of the era, Pennhurst was wholly independent from the outside world. 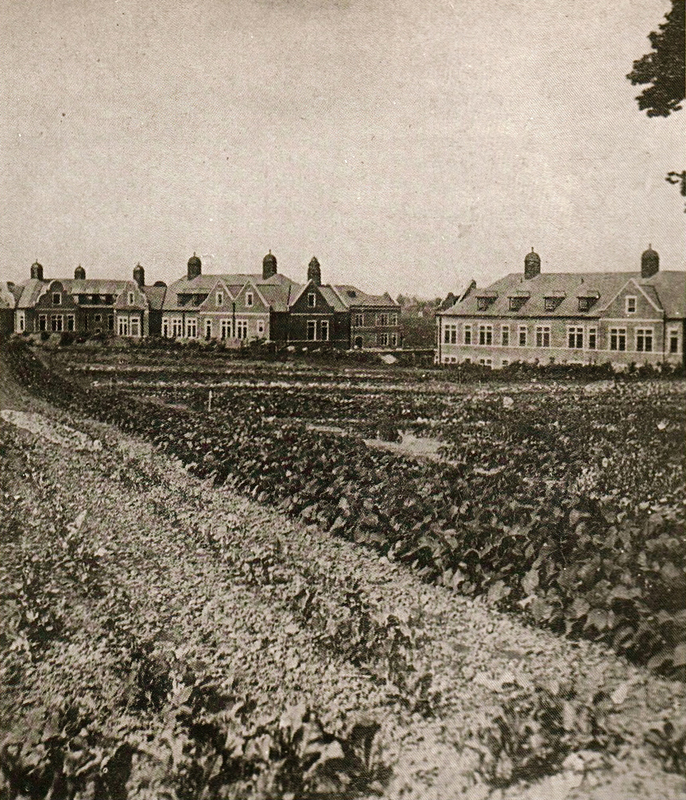 It operated its own power plant, policed its own grounds and grew its own food. 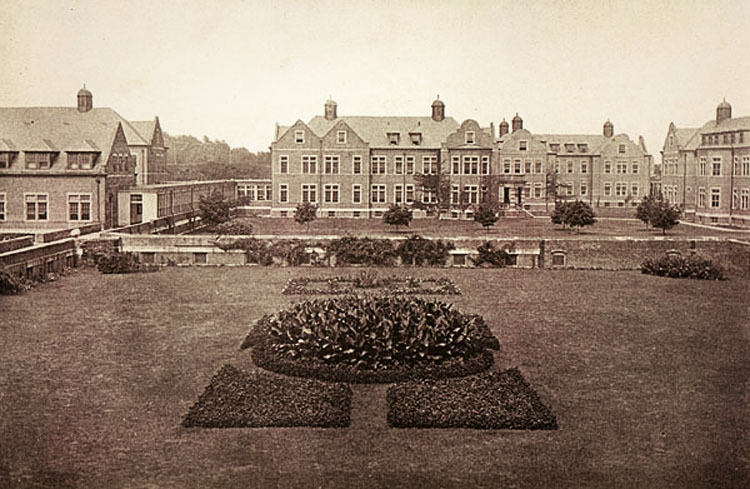 Any additional needs were supplied by a railway which connected to the campus. 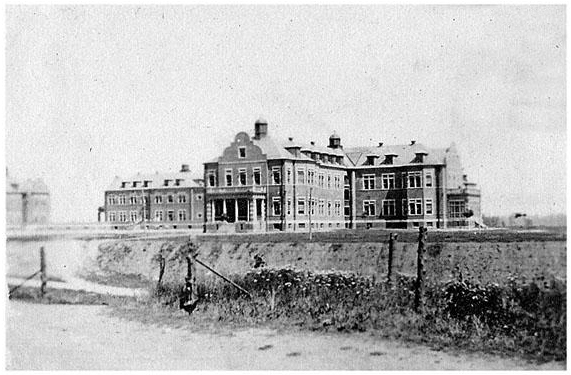 The facility could operate without any interaction with the community, and that was the way the community preferred it. 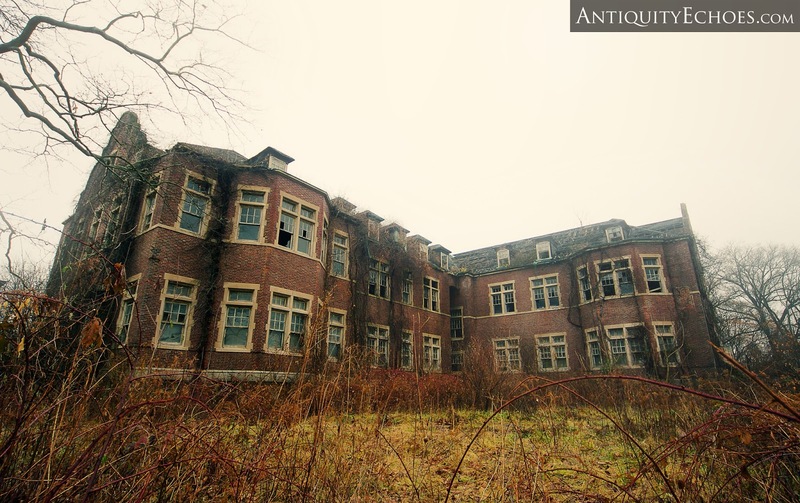 By the 1980's, overcrowding, lack of funds, inadequate staffing and decades of abuse and neglect accusations caught up with the operation, and in 1987 Pennhurst closed its doors for good. 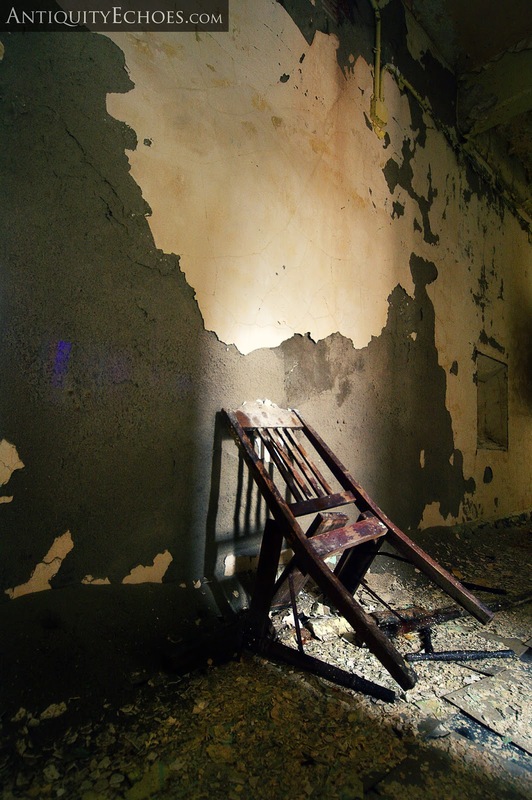 Its death was not without positive impact, though. 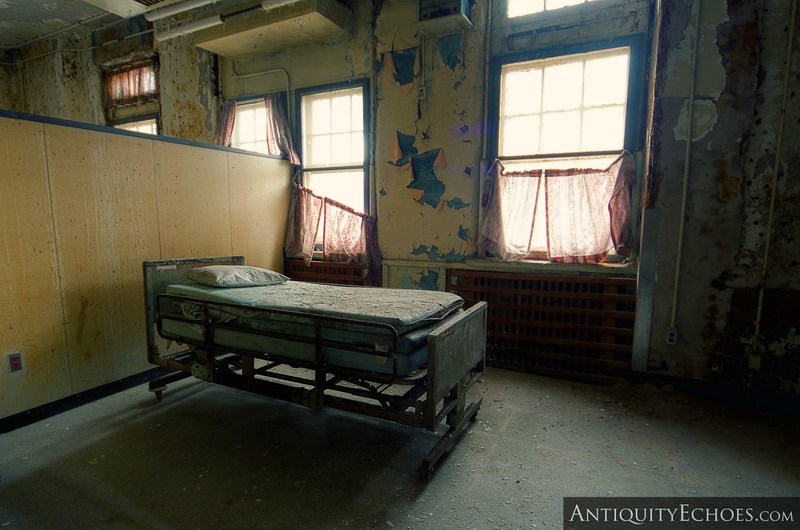 The martyrdom of its long suffering patients helped put into motion changes to medical practice across the country and to society as a whole. 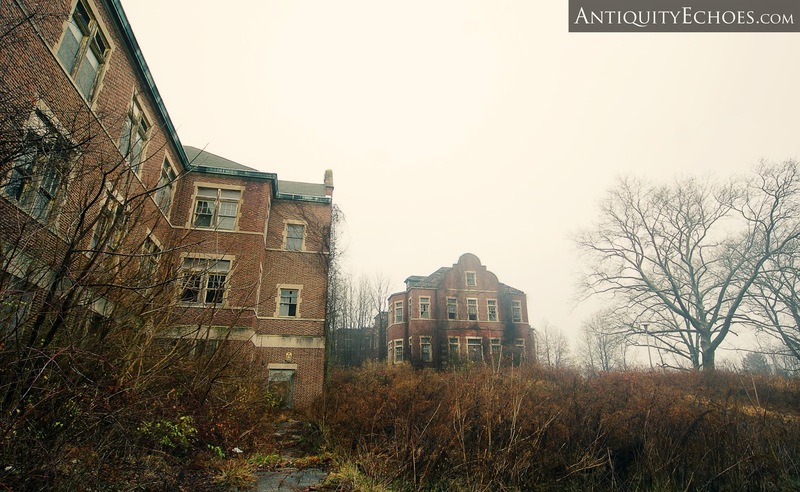 On the day of our visit a cold early-morning fog hung thickly about the campus, a veil of grey swallowing distant forms into vague soft-edged silhouettes, and completely concealing the sky above. 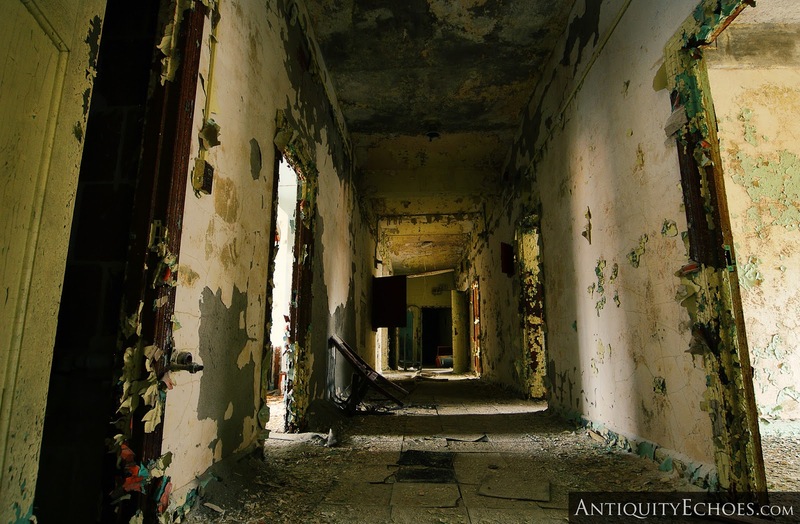 The Pennhurst property had disconnected from the greater world around it, surrounded on all sides by massive walls of white, existing alone in a depressing haze. 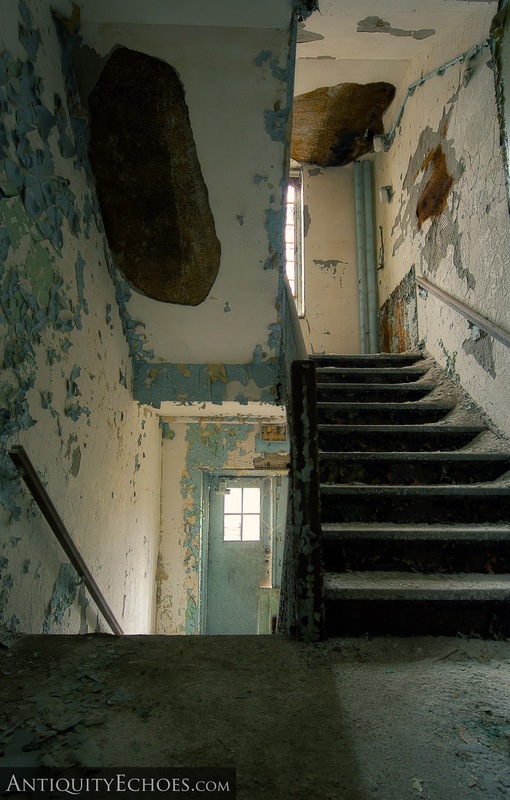 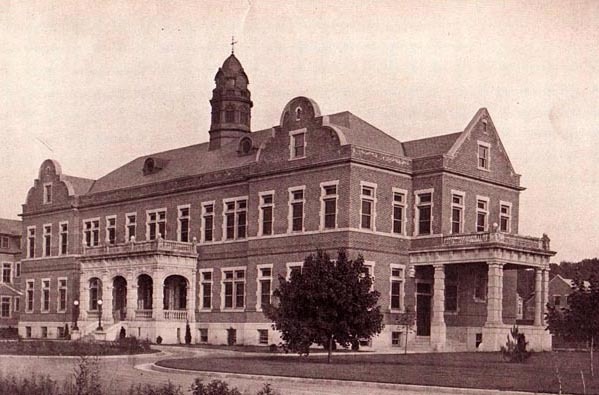 When considering the innumerable acts of cruelty and neglect which had played out here through the facility's 79 years of operation, perhaps there was no more suiting an atmosphere to witness these grounds than at that very moment. 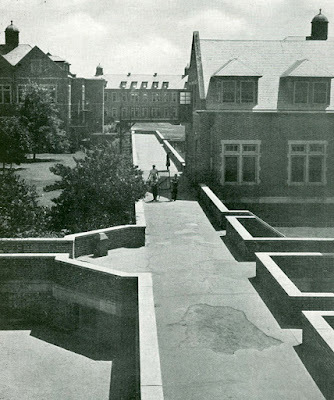 A white fog draped along the entire campus. 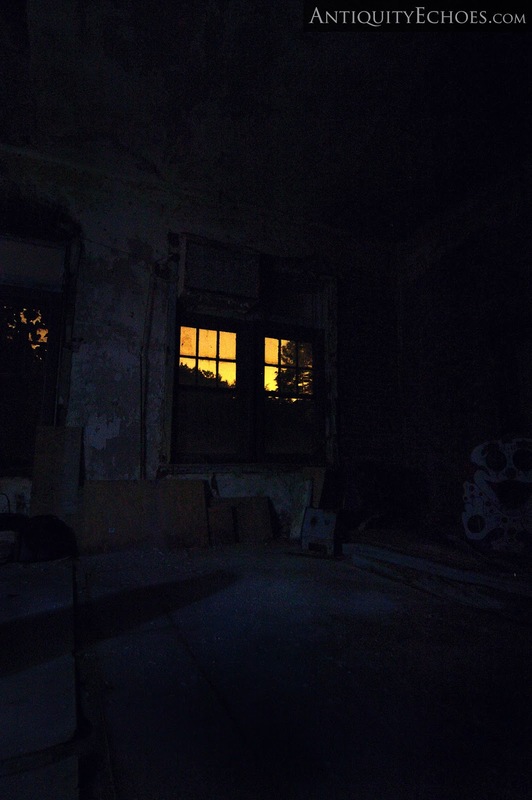 How many people have stared out this window through the years? 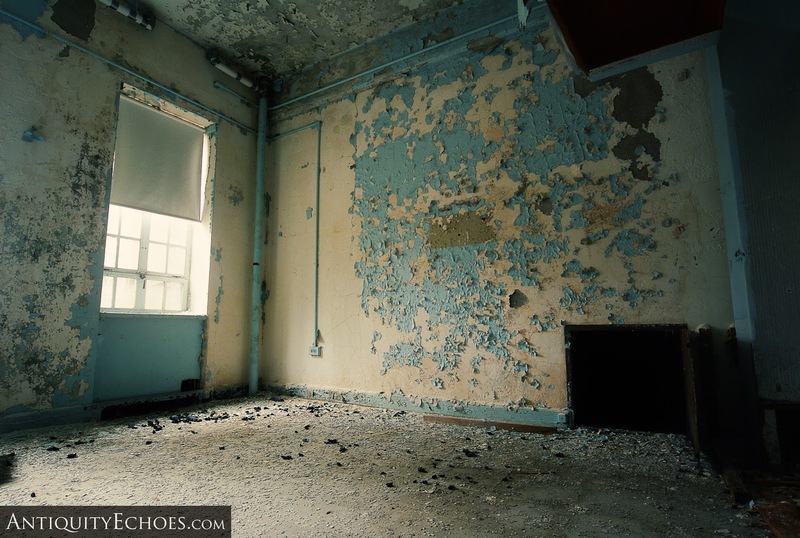 Some buildings are more maintained than others. 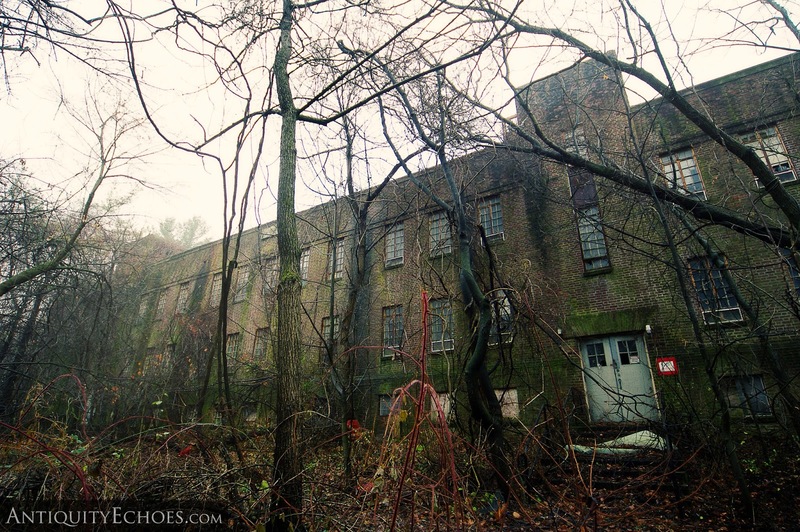 This one in the woods is still utterly abandoned. 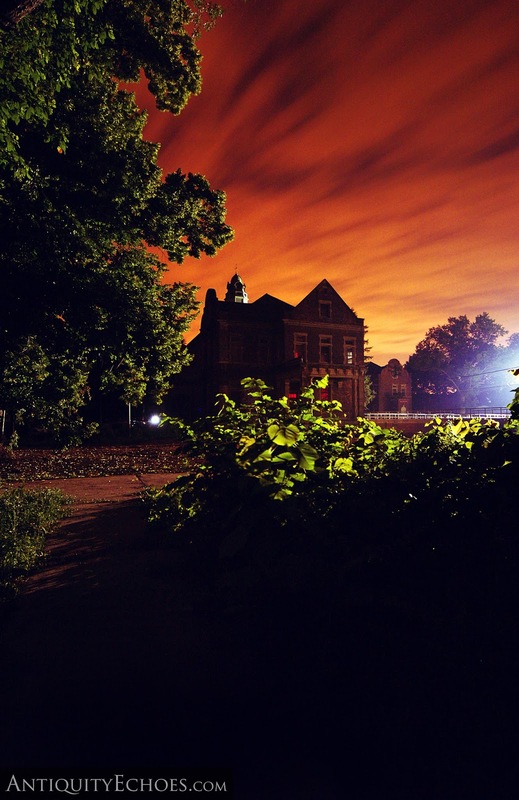 The grounds took on an entirely different feel as darkness fell.